Dr. Jane MacMillan-Bondt grew up in Charlottetown and graduated from the Ontario Veterinary College in 1984. She has been practicing at the Summerside Animal Hospital since its opening in 1985 and became the owner in 1998. She lives on a small farm in the Bonshaw hills with her husband, four children, three dogs, four cats, three horses and the farm animals. When she’s not busy at the clinic, she enjoys coaching synchronized swimming, cooking, and yoga. She is a member of the PEIVMA, CVMA, and Discipline and Ethnics Committee, and served on the board of the PEI Humane Society from 2007 to 2010. Dr MacMillan-Bondt is pictured with her dog Miche. 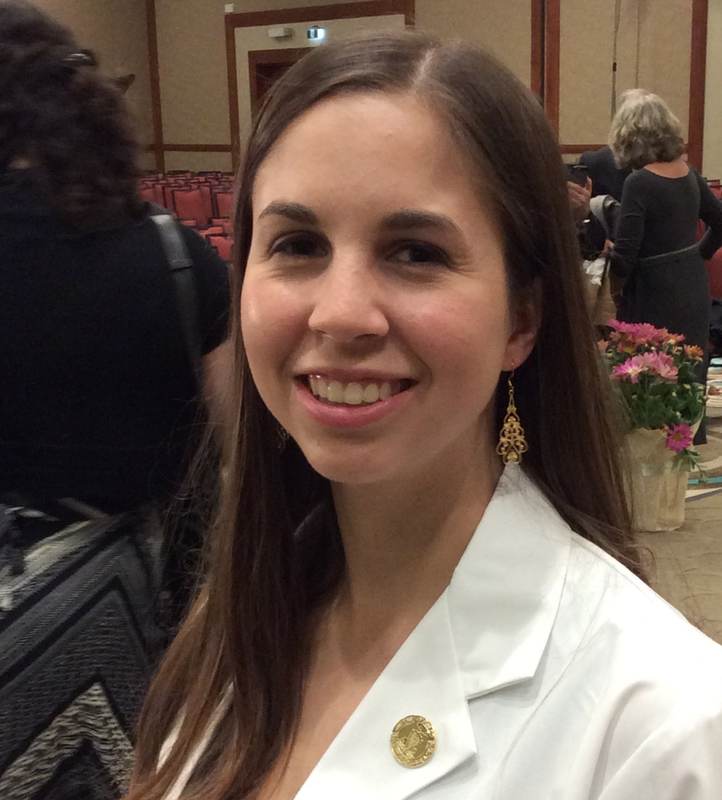 Dr. Erin MacDonald is a native of South Pinette, PE. After earning her BSc from Mount Allison University, she graduated from the Atlantic Veterinary College in 2007. 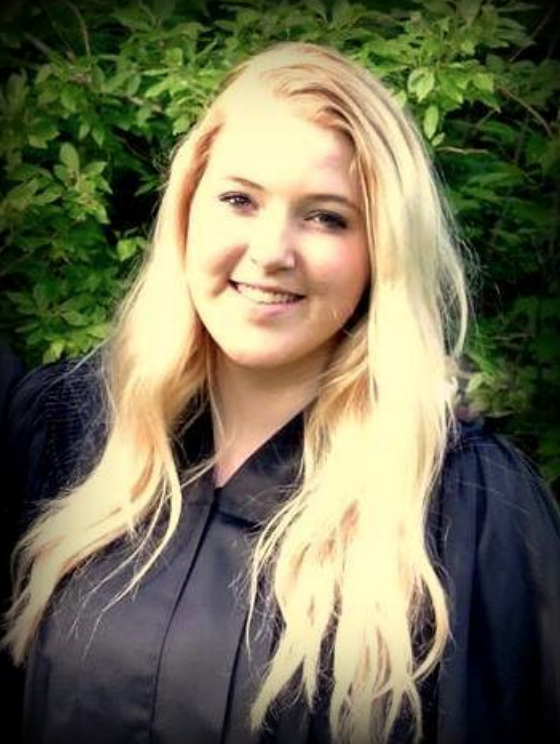 Following graduation she moved to Ottawa, ON to practice at a small animal clinic. She is very happy to be home again and working at the Summerside Animal Hospital. In her time away from the clinic, she enjoys playing soccer, marathon training (and running the occasional marathon, of course! ), and practicing photography. Dr. Courtney Hogan-Chandler is better known on PEI as the ‘red headed fiddler’ than a Doctor of Veterinarian Medicine, but she’s working hard to change that. Since the age of 11, she has been playing her fiddle, hosting her own Ceilidhs, and launched 4 PEI music-award nominated CD’s. She continued to play to help pay her way through the veterinary program at AVC. 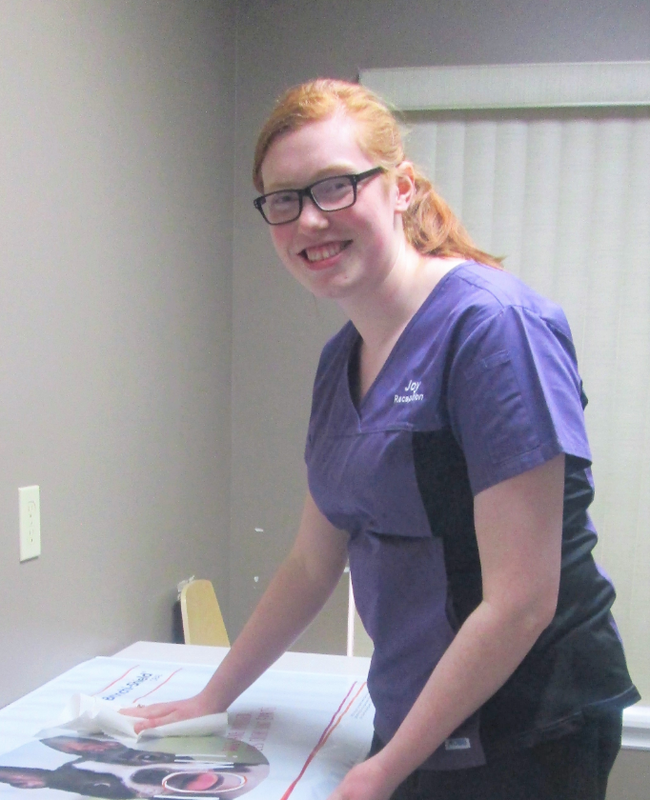 After graduation, she worked briefly at the Mountain Road Animal Hospital in Moncton, but was thrilled when an opportunity opened up at the Summerside Animal Hospital. She now lives in Emerald with husband and their rescued animals including two horses, two dogs and two cats. Dr. Julianna Barrett is originally from Hammonds Plains, Nova Scotia. She studied science at the University of Prince Edward Island and then attended the Atlantic Veterinary College. Julianna has a Greater Swiss Mountain dog named Moose. Her pass times include spending time with Moose, snow mobiling and boating. Her favourite foods are poutine, sushi and pickles. 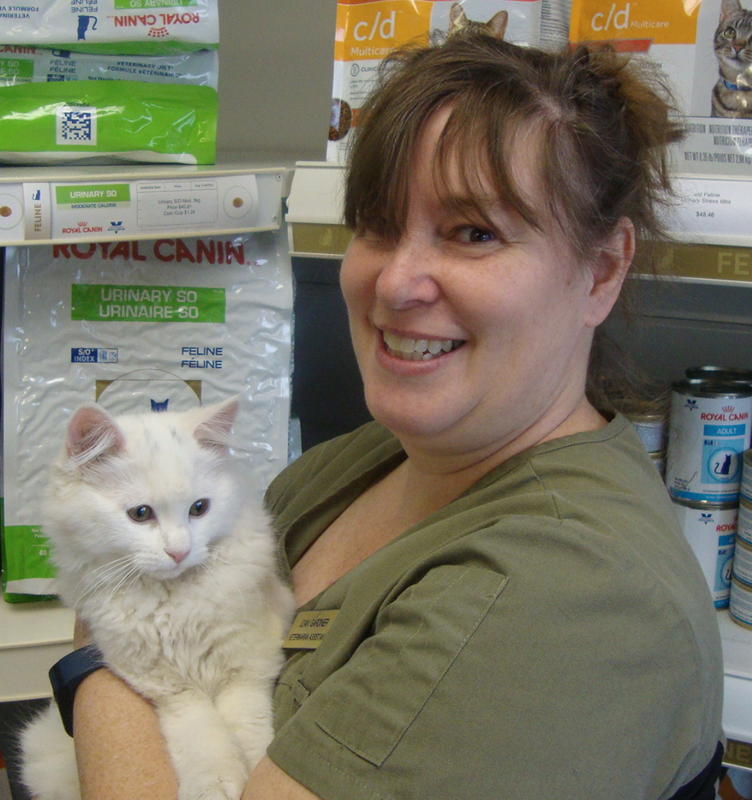 Being an animal lover from way back, Debbie is always happy to welcome pets to our clinic. She has been receptionist and bookkeeper for over 15 years at the Summerside Animal Hospital. Recently Debbie has transitioned to part time to give her more time to spoil her two cats Meo and Twyla! Crystal began working here in the spring of 2005. 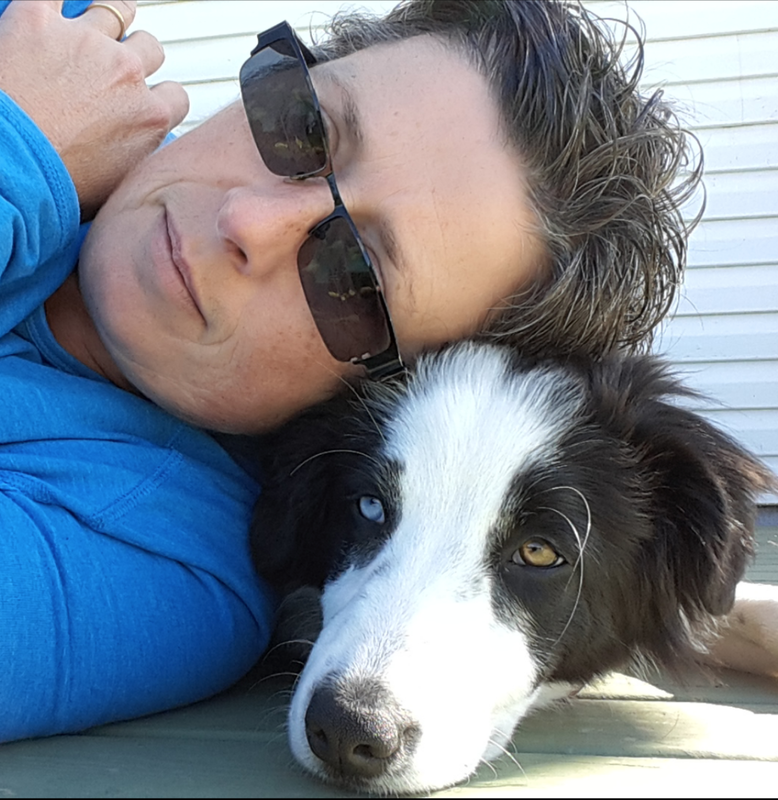 She is originally from Riverview, NB and currently resides in the Summerside area with her husband and her Shetland Sheepdog, Aussie. 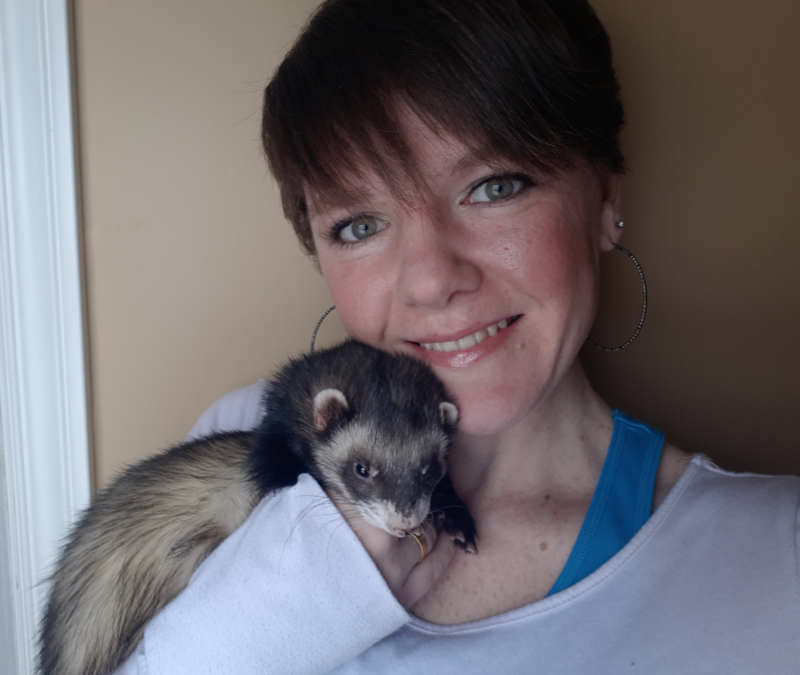 Kim graduated from the Animal Health Technology program at the Nova Scotia Agricultural College in 1993 and has been employed at our clinic since September of that year. Joan has been with our clinic since August of 1996. She graduated from the Nova Scotia Agricultural College in 1989 with a diploma in Animal Science Technology. She lives in the Miscouche area with her husband, daughter, and their Beagles. Glenna began working at our clinic in the summer of 1994 and has been here since as a full time dog/cat groomer. She lives in the Summerside area with her husband, two sons and their two Chihuahuas Wilbur and Lewis. When Glenna’s not covered in fur, she enjoys reading and scrapbooking. Molly joined our team in December 2012. Originally from Ontario, she worked at an animal emergency clinic. She now lives in DeSable with her husband Steve, their three children and a variety of pets. When not at the clinic Molly runs the families business, South Shore Dairy Goats. Cindy began her career with us as a volunteer back in 2008 and quickly became a permanent member of the team. When she is not working at the Animal Hospital you can find her at home as a dog groomer or pursuing her passion of showing and breeding the American Cocker Spaniel. Amanda has been working at the clinic since December 2015. In her free time, she enjoys spending time with her dog Bullet (pictured) and being with friends. Joy started working at Summerside Animal Hospital in the summer of 2016. In the future, she is planning to go to college to study for Veterinary Technician. She loves animals, reading and listening to music in her spare time. Currently she lives with 3 cats and a dog. Jenna grew up in the east end of the island and then spent several years in Charlottetown, working as a photographer, while she attended UPEI and earned her Biology degree. Afterwards she moved to Cambridge, Ontario to work at the African Lion Safari. For three years, she worked on a team to care for and supervise species such as rhinos, lions, bison, giraffe and many more. Now she lives in Summerside with her boyfriend and her five ferrets. After graduating from the Veterinary Technician program at Oulton College in June 2016, Nicolle started working at the clinic in Sept 2016. She lives in Rustico with her family. When at home, Nicolle enjoys spending time with her two dogs, Mojo and Zoey, and two cats, Marley and Oscar.